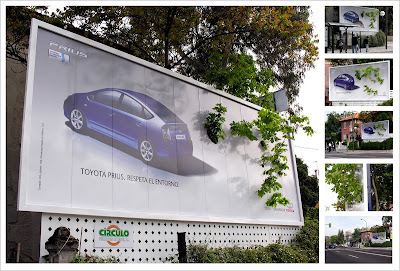 Nice use of media to demonstrate "respect the environment". "On the font front, once again, I take my cue from Microsoft because I know the bajillions of dollars they invest in this type of research. The font is Calibri. It shipped as the default font (as opposed to Times New Romans) on all Vista PCs. The spare, modern style of Calibri is the font equivalent of the good design that is making headway in the mainstream. Microsoft will ship as the standard font something that strikes a balance between design and seriousness but also something they think will stand the test of time for foreseeable future (since operating systems stay on the market at least a few years)." why thank you dave. I'm not much of a times new roman fan myself. I used to use it in DM letters - the thinking was the font felt more like typewriter font, so was as close to a letter as possible. But not sure this holds up anymore. I'd never use it online though.